How does a Visa Prepaid Debit Card work? This reloadable prepaid Visa debit card is our general purpose card. It lets you spend up to the value placed on the card anywhere Visa debit cards are accepted. You can receive notifications when your balance reaches a specific amount via text message. Messages are sent to either the student or the parent; they cannot be sent to both phones. To activate Text Message Alerts, text ACTIVATE with the last four digits of the card number to 91315. Order your Personalized Card online or place an order through your local Altra Branch. This card is not available for same-day pick up in branches. During the card purchase enrollment process, cardholders will be prompted to select and answer four out of ten authentication questions to complete the registration. Subsequent logins for registered cards may be required as an added security protection. How do I know the balance on my Visa Prepaid Debit Card? You can check your balance online (choose “My Account”), or by calling your local Altra branch, or by calling customer support at 866-760-3156. Since a merchant may not be able to tell how much money is on the card, keeping track of your balance is a sure way to know how much you have to spend. Where can my Visa Prepaid Debit Card be used? There is a maximum of five reloads within a seven day period. There is a maximum reload amount of $20,000 within seven days. Purchase transactions are unlimited, up to the balance remaining on your card. However, for the protection of our cardholders, there are limits to the number and dollar amount of reloads, ATM withdrawals, and cash advances performed within a certain time period. To learn more about the current limits, please reference your terms and conditions. 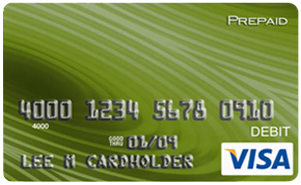 Our Visa Prepaid Card can be purchased by anyone that has a valid debit or credit card registered in his or her name. The individual purchasing the card is defined as the primary cardholder. The address listed for the primary cardholder must match the billing address for the debit/credit card used to purchase the Prepaid Card. 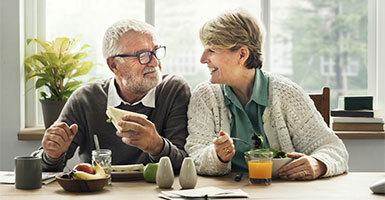 Personalized primary cardholders can order online up to four personalized secondary cards for family members or companions. When purchasing a secondary card for a young person with no card experience, be sure to go over all of the materials that accompany the card. How do I get a Visa Prepaid Debit Card? You can order non-personalized and personalized Prepaid Cards, non-personalized International Chip cards, and non-personalized Gift Cards directly online or at your local branch. Gift cards are also available for purchase at your local branch. Your Prepaid card can be activated by logging into this site and clicking on the Activate Card link in the right side bar. An assigned PIN will be displayed. You can change the PIN if you desire using the Change PIN option when logged into the website. You may also call the customer support number listed on the back of your card to activate your Prepaid Card, an assigned PIN will be spoken and you’ll be given the opportunity to select a new PIN if you choose. 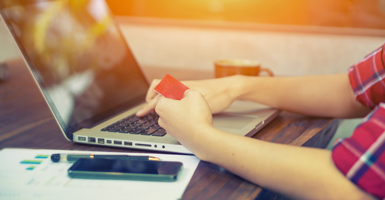 If a decline occurs, the card’s available balance is probably less than the purchase amount. You may inform the merchant of the remaining balance on the card and use another form of payment to pay the difference, subject to the policy of the merchant. Also, please be aware that some merchants – for example, restaurants, car rental agencies, salons, mail-order companies, and cruise lines – preauthorize for an amount slightly higher than your actual transaction to ensure sufficient funds for tips or incidental expenses. This amount is “held” until the transaction settles to your Prepaid Card. Only the amount you sign for will ultimately be deducted from your card. Use of the card at automated fuel dispensers requires a minimum balance of $75. Again, only the actual amount spent will ultimately be deducted from the card. Yes, the card can be loaded up to 4 times for Non-personalized and unlimited times for Personalized. To reload using the credit or debit card registered during enrollment, primary cardholders can visit the website, call the number listed on the back of their card, or visit your local branch. The value being added to your card will be charged to your funding source. Possible reasons your initial load or reload might be declined are: the name/address on file with the debit/credit card issuer does not match the primary cardholder profile on the Visa Prepaid Card website, the debit/credit card expiration date or 3 digit code listed on the website is incorrect, or the 4 load limit or other applicable limits have been exceeded. First, verify your funding source information and the total number of reloads performed to date. If this does not resolve the issue, call the toll free number on the back of your card to discuss other limits that may have been exceeded. Any authorization request that is greater than the card’s available balance will be declined. However, there can be times when a Visa merchant puts an item through without prior authorization. If an overdraft occurs, the cardholder will be required to either reload funds onto the card or make a payment to Cardholder Services to cover the negative amount. How do I find an ATM when I travel – especially overseas? Visit our ATM Locator or use the ATM locator found at www.visa.com for participating Visa ATMs both domestic and abroad. We provide 24-hour toll-free support. Immediately report any problems or a lost or stolen card by calling 866-760-3156. A replacement card can be issued and any available balance transferred to a new card, less applicable fees that will be deducted from the card’s available balance. Replacement cards are generally received in 7-10 business days. Emergency card replacement can also be requested with guaranteed delivery within the next business day, or sooner in some cases. See the Visa Prepaid Debit Card Terms & Conditions for fees that apply to lost or stolen cards and emergency card replacement. As long as the lost or stolen card is reported immediately, you will not be responsible for any unauthorized merchant charges. If traveling internationally or far from home, a secondary card should be considered. That way, if the primary card is lost or stolen, the secondary card can immediately be used to access the funds without having to wait for a replacement card.